HIGH POINT, N.C. – (March 15, 2018) — TrendWatch, International Market Center’s signature trends forecast program, is offering a nod to consumer lifestyles for the Spring Market showcase, featuring three themes and accompanying products that correspond with the everyday life stages of home furnishings buyers. Curated by home furnishings forecaster Julie Smith Vincenti of Nine Muses Media, the Spring 2018 TrendWatch forecast includes 66 featured products and 49 unique featured exhibitors in category themes: Modern Family, She Suite and Beyondaries Revisited. Vincenti will host an opening day seminar at SAMS-T-1014 to overview the trends and additionally, three TrendWatch vignettes will be on display throughout market in three locations (Showplace, IHFC Green lobby, and Suites at Market Square). Nearly 1,600 products images were submitted by exhibitors for consideration in the Spring 2018 TrendWatch program. TrendWatch offers a product presentation fueled by interstellar exploration after first touching down on the space theme in the fall of 2015. For Spring 2018, vibrant, ultra-cool colors and ethereal, abstract patterns are front and center, offering products that nod to out-of-this-world aesthetics. Featured brands include: Abigails, Classic Home, Gus Design Group, Hudson Valley Lighting, Kenneth Cobonpue, Kevin O’Brien Studio, Natural Curiosities, Notre Monde, Nourison, Picture Source Somerset, Regina-Andrew Designs, Robin Baron Design,Selamat Designs, Sunpan Modern Home, York Wallcoverings and Zuo Modern. A nod to empowerment and unswerving resolve inspire She Suite, an aptly titled showcase of office and lounge furniture. Here, the personal style of confident, emboldened executives is realized in workspaces that look as smart as the technology that powers both their professional and personal lives. Featured brands include: Adriana Hoyos, Bliss Studio, Caracole, Celadon Art, Gus Design Group, The Howard Elliott Collection, Mitzi by Hudson Valley Lighting, Huger Memories, Jill Seale Design Studio, KAS Rugs, Leftbank Art, Mobital USA, Modshop, Nathan Anthony Furniture, Nourison Industries, RFA Décor, Tree Master, Zodax and Zuo Modern. 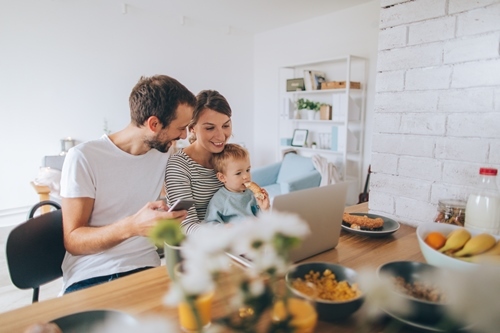 With homeownership, marriage and children on the minds of Millennials, especially those born in the mid-1980s, TrendWatch steps in with a family-friendly display that underscores life stage milestones. Compared to recent Millennials-focused vignettes — City Center, On the Go and Fearless & Flirty — this season’s Modern Family features price points that aim higher and furnishings that deliver on meaningful purchase motivators, namely sustainability, wellness and modernity. Featured brands include: Adesso Home, Alicia Adams Alpaca, Aviva Stanoff Design Inc., Brink and Campman, carol & frank, Classic Home, Copeland Furniture, Creative Touch Rugs, Edelgrund, Elaine Smith Inc., Greenington Fine Bamboo, Jeffan International, Lancaster Furniture, Leftbank Art, Resource Décor, Star International, Wendy Concannon Photography, and Worlds Away. Market attendees can see three TrendWatch displays at IMC properties: Suites at Market Square Lobby, IHFC Green Lobby, and the walkway between IHFC and Showplace near the Transportation Terminal. The TrendWatch seminar is Saturday, April. 14, 2:00 – 3:00, Suites at Market Square, Seminar Room (SAMS T-1014) and offers CEU credit.